I thought it was a great first experience! Him and his staff were very professional and helpful! I am definitely goingback! I thought it was a great first experience! Him and his staff were very professional and helpful! I am definitely going back! Dr. Weitzner was able to see me for an within hours of a potential emergency, when my other provider was unableto see me for 4+ weeks. He was very kind and respectful of me and my explanation of symptoms. He was able to provide me with tons of information on my possible issues and helped me build a plan of action. I highly recommend him and his team. Dr. Weitzner was able to see me for an within hours of a potential emergency, when my other provider was unable to see me for 4+ weeks. He was very kindand respectful of me and my explanation of symptoms. He was able to provide me with tons of information on my possible issues and helped me build a plan of action. I highly recommend him and his team. 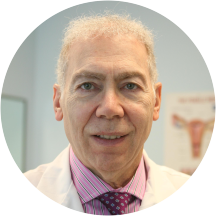 As an obstetrician-gynecologist, it is my personal and professional mission to provide you with the finest possible health care. Not just as your physician, but also as a counselor, confidant and friend. In my private practice, I combine old-fashioned personalized care with the field's most sophisticated treatment. I believe that it is important to spend quality time with each patient. I make sure that I am available to answer all my patients' questions, without my patients feeling rushed. As your obstetrician-gynecologist, I consider it a privilege to provide you with the highest level of care available. Dr Weitzner took his time and was very thorough! Very pleased! Love Dr. Weitzner and the staff!! cannot thank him enough for helping me with a terrible painful cyst. I had my first appointment with Dr. Weitzner and was very impressed. He was very thorough and really wanted to get to know me as a person. I have been a patient of Dr. John Weitzner for many years. He is very thorough in his exams, and has guided me through many issues. He has a calming "bedside manner", offering advice and support, along with his expertise. Ihighly recommend Dr. John Weitzner if you need a gynecologist or obstetrician. Very thorough. Would recommend to family and friends. i told him ive been having bad period pain since i was 15 and he seemed empathetically shocked and said well we're gonna take care of that you came to the right place and i was like doc is gonna treat me good and he did. Dr. Weitzner is always nice I visit and also always checks to make sure I visit my PCP. The staff is great also. Dr. Weitzner is very thorough, professional, and friendly. The ladies in the office are also very nice. He is easy to talk to and has many years of experience. Turns out the doctor that delivered my second child was actually oneof his resident doctors. He has a great approach to women's health and has developed some really good tips that make caring for your body easy. I love Dr. Weitzner he is a great doctor with exceptional bed side manners. I have been a patient of his since February 2000. I recently moved to Texas and had to come back to Dr. Weitzner for treatment. Thanks forbeing an amazing doctor that cares about your patients. Dr.Weitzner is a very professional, good and caring doctor. He delivered my now 23 yr.old and 3 yr.old. I always recommend him to friends and family. Very professional, comprehensive health information provided. I cannot imagine having any Doctor other than Doctor Weitzner. He is the only Doctor I've ever been able to text and he responds immediately. I had an issue today with my baby not moving and he saw me within 45minutes of texting him. He is such a caring and thoughtful Doctor who puts the care and safety of his clients first. Dr. John Weitzner makes everyone feel comfortable as soon as he walks through the door. Everything is nicely done and fast. He explains everything clearly and thoroughly. An amazing doctor and I recommended him every time. I am also in lovewith all the girls he works with. They have formed such a amazing and professional bond with me and they make it a joy to come back to the office every time. All together an amazing office to come in to, I would never go anywhere else! Dr. Weitzner is very professional and friendly, but I consistently wait between 30-45 minutes to see him after I arrive for my appointment. Maybe this is standard for most doctors offices. My first visit with Dr. Weitzner was great. His staff are polite and professional. Dr. Weitzner made me feel comfortable, explained tests and processes well and made sure I understood everything. I'm looking forward future visits! I think Dr. Weitzner is a very caring thorough doctor with an excellent bedside manner. I would highly recommend him. I love Dr.Weitzner and his staff of Nurses! Everyone is gentle and professional! This was one of the fastest visits I've had in a while. In/out less than 1 hour. He is awesome! I would highly recommend him to anyone. Dr. Weitzner is extremely thorough in his exams and you never feel he is rushing. I am sad that I finally found a great doctor and now I might be leaving Chicago soon. Dr. Weitzner has a calming energy about him. Most doctors come in and it feels like they are very stressed or hurried butDr. Weitzner did not give off that vibe. He was gentle yet thorough and I appreciate that he is testing for the BRCA gene, something I had not heard of before my appointment. Also, his staff was so friendly. I feel that reception staff is always reflective of the dr because unhappy people often make the people who work for them unhappy. Everyone was very friendly and they also helped take care of my baby girl while I was having my exam. She had a blast with them all. I will be recommending to anyone in Chicago to see Dr. Weitzner! It was a great visit...as always. For the many many years that I have been his patient I have not one time been dissatisfied with anything. The lady's are wonderful...always friendly and professional! I would recommend and have recommended.Dr. Weitzner to many women. He really takes the time to make sure you understand what is going on and why he is doing whatever he does. I wouldn't go to anyone else! He is always very professional and regardless your health problem his staff and him help you feel better by not looking down on you. Very family friendly / professional staff. I have been seeing him on and off since 1992. Dr. Weitzner is very kind and knowledgeable. He is easy to talk to and offered great information to my husband and I during our first pregnancy appointment. His staff was wonderful and his offices are clean and organized. Having such agreat OBGYN allows us a calm outlook for the exciting months ahead. I highly recommend Dr. Weitzner! Excellent service, great doctor! He's kind and very accessible, reassuring but cautious. And he gives out his cell phone number and actually takes the time to answer questions, I'm glad he's my doctor! I have been seeing Dr. Weitzner for 15 years! He is a wonderful doctor! He is down to earth and really puts you at ease. I've never once felt silly or uncomfortable voicing any questions or concerns. Besides his gentle mannerhe is meticulous and thorough with his patients and his credentials and expertise are of the highest standards. I have always felt like I am getting the very best care. His office is clean and comfortable and his staff professional, pleasant and accommodating. I would recommend Dr. Weitzner to any woman looking for an amazing doctor. You will be in great hands! Really friendly staff! Dr. Weitzner was very thorough- I felt like he really took time to listen to my background, concerns, and answer all of my questions. He never made me feel rushed. This was my first appointment at this office and I feel like I'm in good hands. Excellent as always! Answers all my questions and is always very nice!! Dr. Weitzner is the best doctor I have ever had. He takes his time and is thorough. He never rushes through an appointment or makes me feel rushed. He is easy to communicate with and takes time to answer questions. Hisoffice staff is extremely friendly and helpful as well. I have been satisfied with every visit. I had more than a few ob/gyn doctors and I must say he was the most though, kind doctor I ever met. He truly cares about your health and your well being. He will take his time with you and willanswer all your questions. I also like his staff. He has been my doctor for 17 years! Dr. Weitzner is extremely thorough. He is patient & kind. His knowledge exceeds most. Very professional, friendly, informative and thorough. My previous doctor was highly sought after and didn't accept new patients but Dr. Weitzner is immeasurably better in every way. I'm glad my friend recommended him. I was very happy to attend to my appointment. Very nice visit the ladies at the front desk very nice, and my doctor is always on point with every question so he's always make sure I'm in good health. I am always happy with Dr. Weitzner. Dr. Weitzner is a very thorough and efficient doctor. He explains everything he is doing and tells you why he is doing it in a very complete manner. The wait time is usually not very long and the nursing staff isexcellent. He also texts you videos and photos of your ultrasounds. Dr. Weitzner is knowledgeable and very patient! He was able to answer and address all of my questions/concerns. Visit was great! Dr . Weitzner is amazing! Great staff as well. Kind and caring all the way around! !